Oh! The pretty cards you will make with Mail Art! 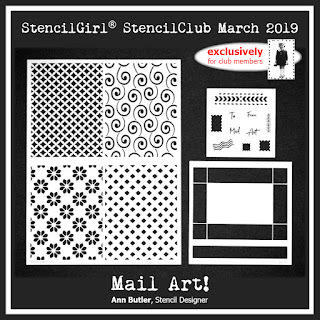 It's the StencilClub set Ann Butler designed exclusively for members. Can't you just imagine all the possibilities for making stationery sets to give as gifts? Ann will show you how she combines these stencils with rubber stamps she already has to make unique cards. 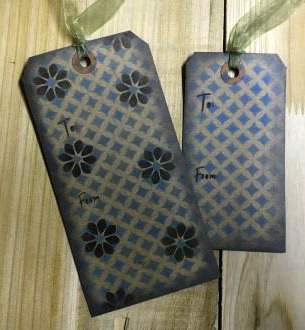 These stencils layer up beautifully! 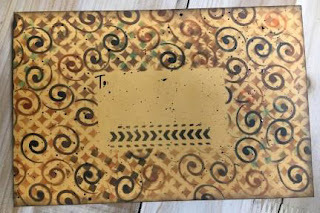 March 6th StencilClub Voices will share what they created with Mail Art! Tag! You're it! Join Ann and all the StencilClub members! StencilClub stencils ship the 15th of the month.